"In 1848 Ventura Flores sold some land on San Diego Creek to Pablo Pérez. 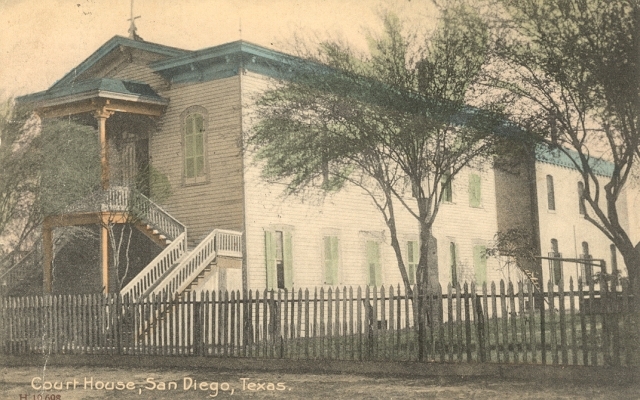 The community Perez established there, called Perezville, was the precursor of San Diego. 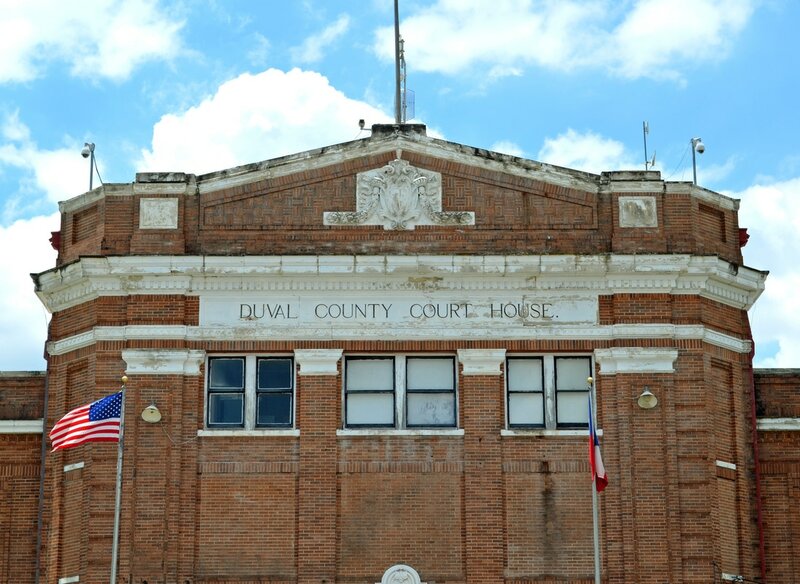 "In 1858 the Texas legislature formed Duval County, which originally embraced 1,887 square miles, from parts of Nueces, Live Oak, and Starr counties. County organization did not occur until eighteen years later. 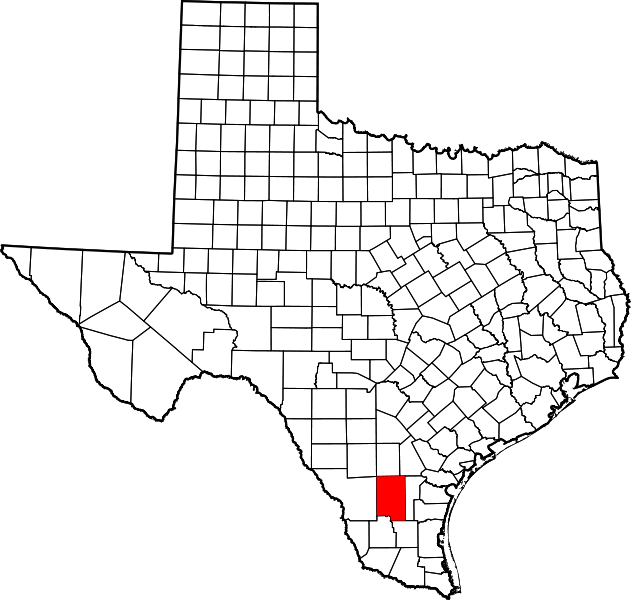 The county was named for Burr H. Duval, who fought in the Texas Revolution and was killed in the Goliad Massacre. 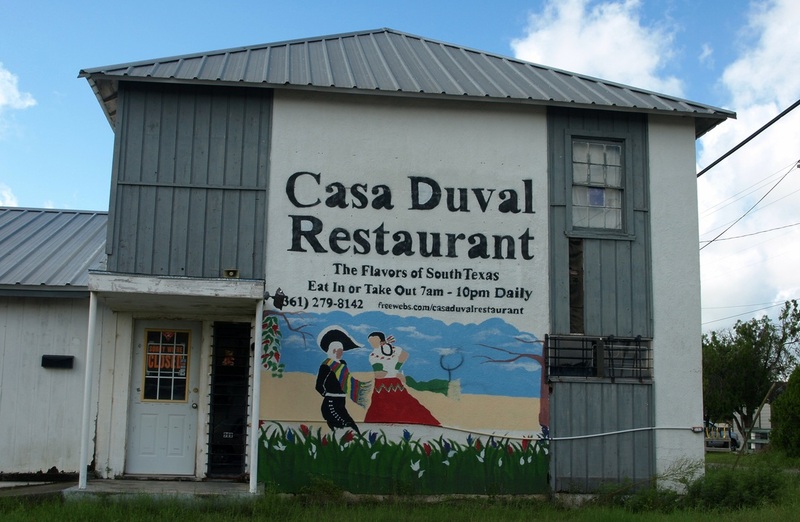 Duval County has always been somewhat off the beaten track of development. 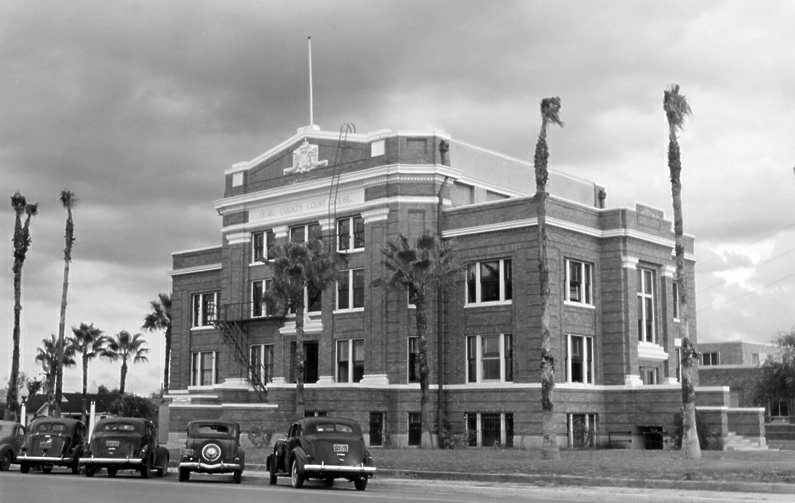 "The county was finally organized in 1876, and San Diego was selected as the county seat. 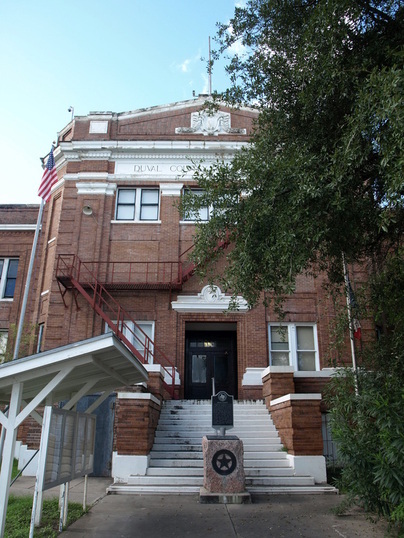 when Jim Hogg County was formed in 1913. 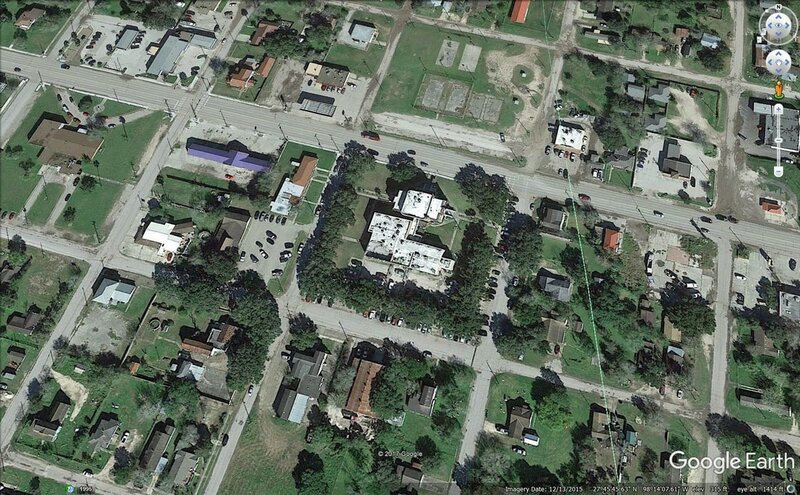 Shortly thereafter, [Archer] Parr made two additional attempts to divide Duval County. Through the establishment of Pat Dunn and Lanham counties he apparently hoped to increase the patronage jobs and tax revenue at his disposal, but he was foiled both times." San Diego, the county seat, is barely in Duval County. 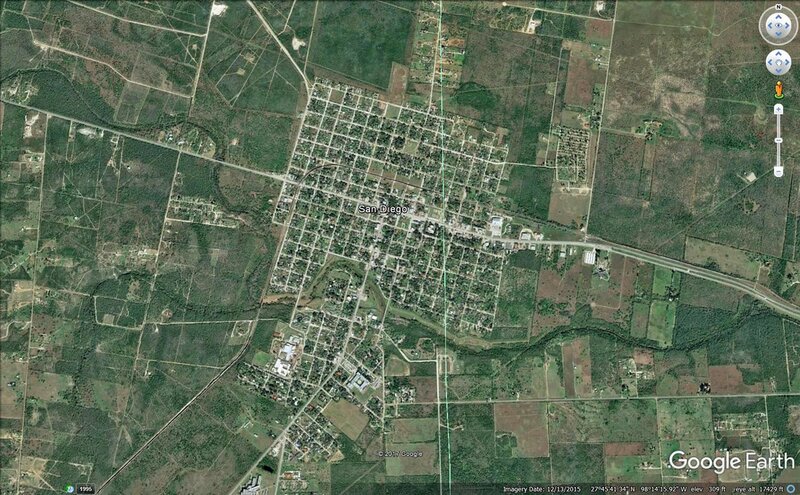 The eastern portion of the town is in neighboring Jim Wells County! I visited Duval County and photographed the courthouse in San Diego on September 25, 2010 and June 6, 2017. Approaching San Diego from the south, on Texas 359. San Diego, the county seat, is barely within Duval County. The Jim Wells County line (the vertical green line) runs north-south along the eastern side of San Diego. 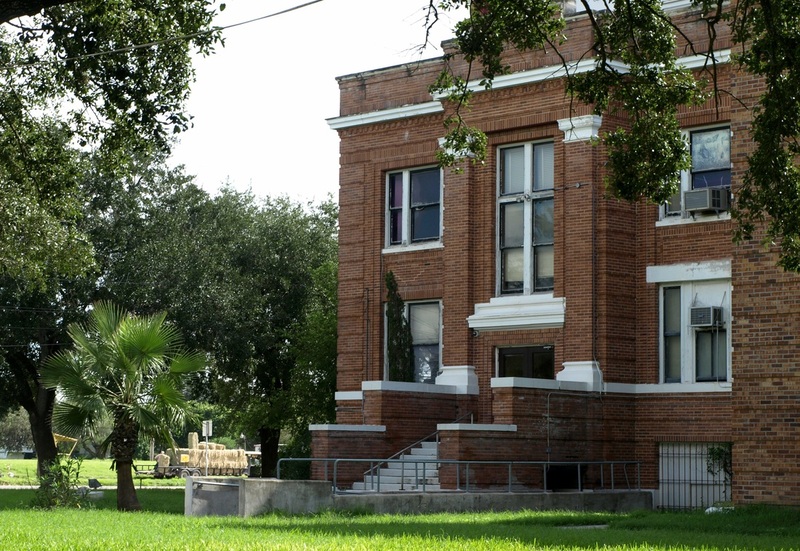 The 1916 Duval County courthouse. Photo circa 1939 courtesy of TXDOT. 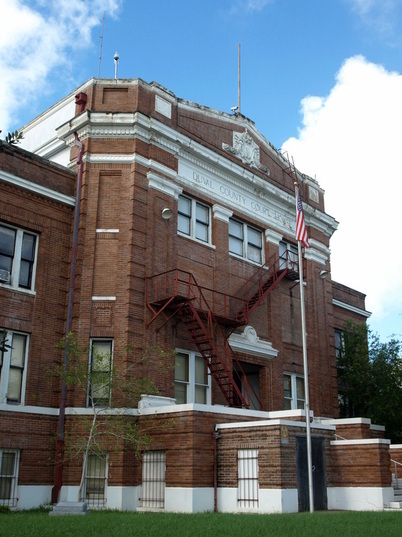 The Duval County courthouse is on the south side of E. Gravis Ave. 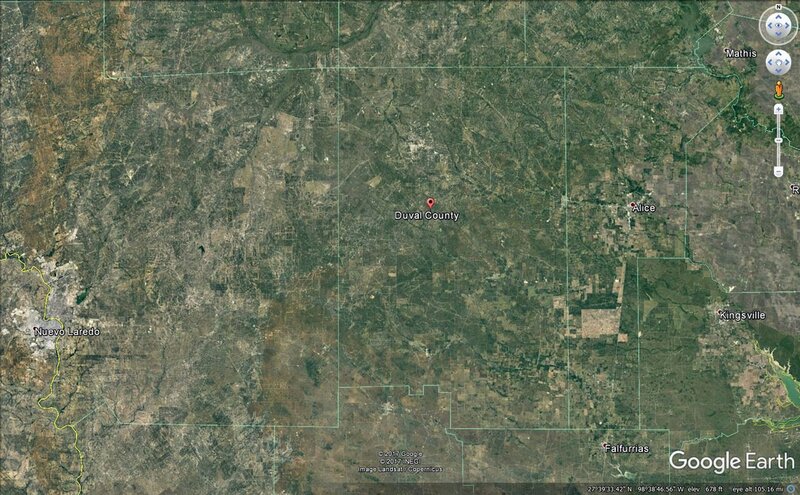 The vertical green line, separating Duval and Jim Wells counties, is just to the east of the courthouse. The north facade of the courthouse. 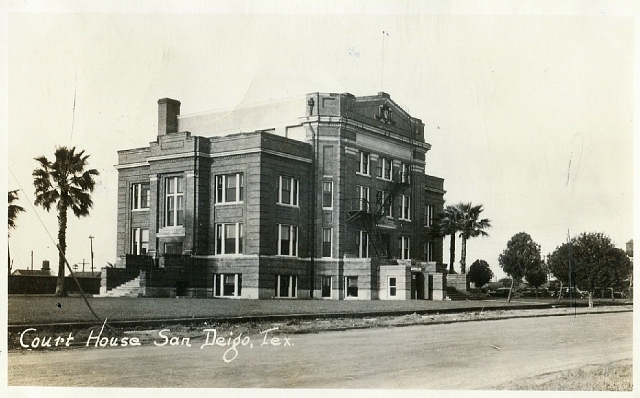 "SAN DIEGO, Tx —The county seat is on its last leg. 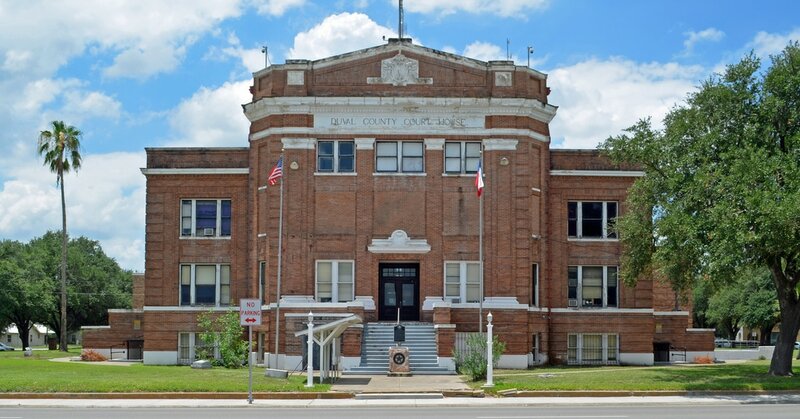 An icon of Texas' neglected, deteriorating, historic courthouses, the center of Duval County government suffers from a leaky roof, defunct plumbing, floods, a fragile electrical system, poor climate control and overcrowding. 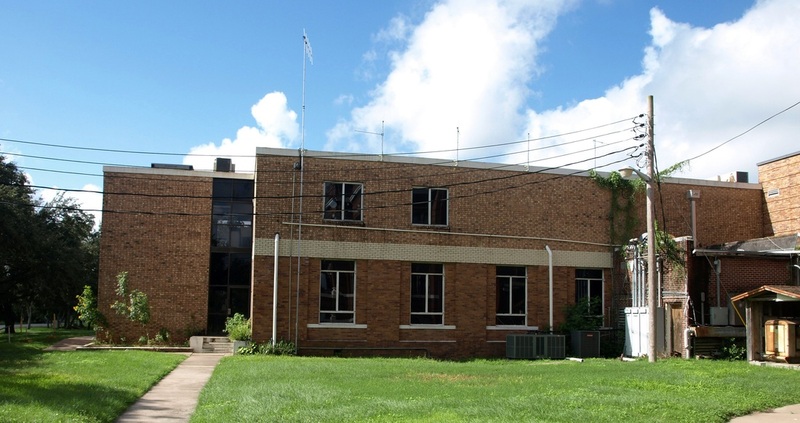 "Despite obvious safety problems and a constant threat of water damage, county officials have made little progress toward restoring or replacing a 95-year-old building that in some places is falling apart, placing workers, documents and visitors at risk. could cost $16 million, County Judge Abel Aragon said.
" 'If we don't get help from the historical commission or somebody else, my plan is to just build a new one,' Aragon said. 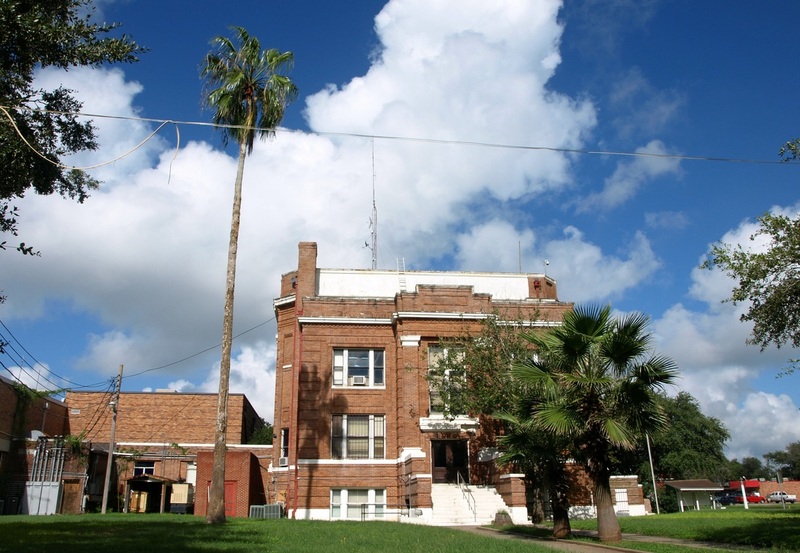 If that happens, the 1916 courthouse could, at least temporarily, become the second publicly owned, vacant courthouse in Texas, joining the old Nueces County Courthouse." The front entrance faces north. It's, shall we say, cluttered. Another view of the front, facing E. Gravis Ave (Highway 44). This photograph was taken 7 years after my initial visit to San Diego. The courthouse has continued to deteriorate. The east side of the courthouse. A 1938 addition is on the left. Later additions fill the south half of the courthouse square. 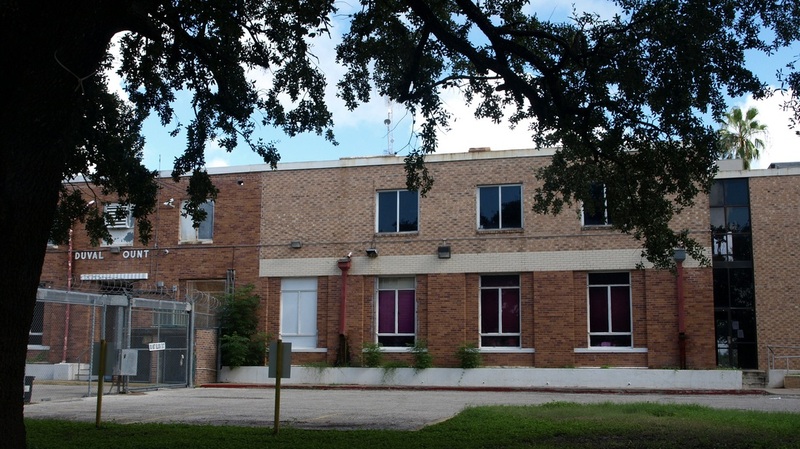 The Duval County Jail is on the south side of the courthouse, facing E. Collins Ave. The west facade of the original courthouse. This storage building with its Alamo-esque facade is south of the square. A restaurant near the courthouse. 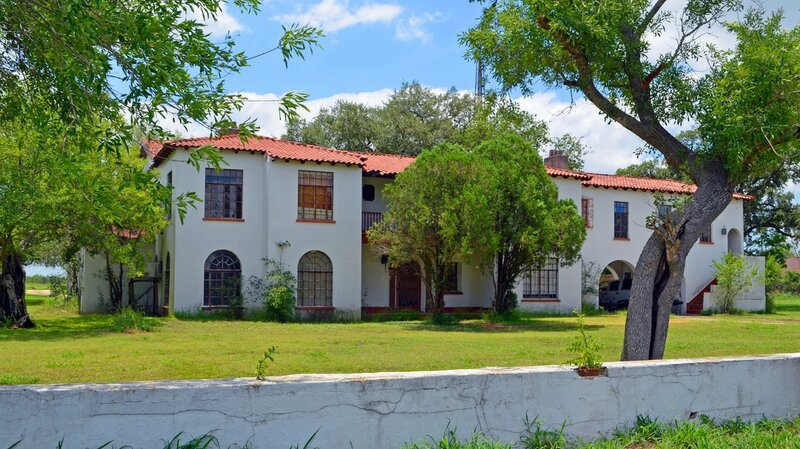 A hacienda on Texas 359, on the south side of town.